The SPS School Board is the essential group in getting the Civics for All Initiative adopted. Board members are THE only elected, representative voice of the public in the school system. They play a crucial role in leading our district and district staff in curriculum and instruction adoptions like Civics for All. Working Towards Unanimous Support for Civics for All! Micro-level: With unanimous support among the three board members on the Curriculum and Instruction Committee (C & I Comm. ), the board can build support and momentum for adoption with the Superintendent and key SPS C & I members, including Michael Tolley, Asst. Superintendent of Teaching and Learning. Goal One: Civics for All (CFA) seeks to eliminate the civics gap that is plaguing Seattle youth of color and lower-incomes, just as it is across the country. In shrinking that gap, research proves that the achievement gap in academics is shrunk too. Equity is seved in multiple ways when civics lessons are infused into our schools. See Race & Equity page. CFA helps fill the character education gap in our District’s strategic plan, towit: because CFA provides for recursive analysis of the civic virtues (like the Common Good, civic duty, tolerance, honesty, respect, responsibility, fairness, patriotism, etc.) via intentional use of Essential Civics Questions, students receive opportunities for growth in character and values development that is embedded in coursework and not simply forced upon them. 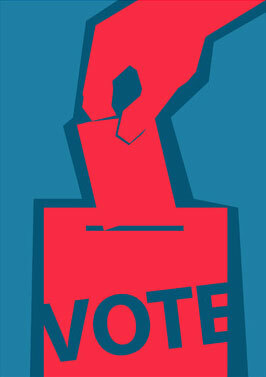 Classroom/school day time crunch: Is there time for mock elections and Civics for All in our time stressed school days? Political capital: Is pushing for Civics for All the wisest use of school board and school board members’ capital with SPS administration? Alignment: How well does Civics for All align with other district programs and agendas? Quite well indeed! Again, Civics for All is a wildly popular proposal (see all orgs and individuals on Supporters page), esp. with parent groups– the number one constituency for administrative staff as well as the board! It is a way to forge positive alliances and build bridges between all stakeholders, not just the board and admin., but also teachers, race equity leaders, civics experts, etc. The work of the Seattle Process has mostly all been done – stakeholders across the city have already considered and committed to it – they love it. Civics for All could and should be adopted in such positive, smooth manner that is a rebuke to the stalling delays that characterize the worst of the Seattle Process! Restorative justice – CFA aligns directly with the crucial objectives of the restorative justice movement, e.g. : eliminating disproportionality in discipline, academic achievement, empowering student voice, etc. Further, like restorative justice, Civics for All offers improved understandings about these issues by building bridges between students, schools, families, and the community. Testing issues – CFA might help engage our youth in age appropriate discussions about standardized testing, including the SAT, because CFA will facilitate student success on the “New SAT,” which is slowly aligning with the Core and now emphasizes America’s founding documents and current events (media literacy) analysis for the first time in the history of the test (Founding Documents and Great Global Conversation). CFA helps make the Common Core accessibleto kids of color, helping to eliminate the savage inequities in civics education and across the K-12 system. Evidence for civics efficacy in this domain is unimpeachable – see Race & Equity page and research. Curriculum Alignment – CFA aligns with and supports the District’s Instructional Services Department current work on Curriculum Alignment in the social studies, as well as science and all core subjects. Middle school social studies adoption (2015) – CFA aligns perfectly with the content selections and especially the dispositions and skills emphasized e.g. “Reading Like a Historian,” which Kathleen Vasquez, SPS Lit. and SS manager rightfully calls “disciplinary literacy.” “Reading Like a Historian” is the brain-child of former UW Ed. prof. Sam Wineburg, and is central to the CFA approach to sorting out facts and arguments in historical/political frameworks. e.g. Learning, Literacy, and Life Skills, including: Critical Thinking, Media Literacy, Leadership, etc.